Many medical centers and hospitals have multiple security guards to help protect their patients and staff in the unlikely event of a bomb threat, fire, terrorist attack or other criminal activity. Our security guards would pay most of their attention to the sensitive areas, such as; infant care, medicine storage, trauma units, psychiatric ward and the prisoner care area. If you have a large facility, Citiguard highly recommends one security guard be stationed at each area along with a parking lot security guard and a lobby security guard. Call CITIGUARD today to set up your free consultation with a team of our most experienced security consultants. Security protection for educational institutions is a necessity in these times. Secure your campus with Citiguard security protection guards, who are highly-trained, experienced, courteous and dependable. Based on your directives and our expertise, Citiguard will assess, customize, develop and enforce the most ideal and cost-effective security procedures. These procedures are designed to maximize the efficiency and effectiveness of your security policies, and are tailored uniquely for your premises. 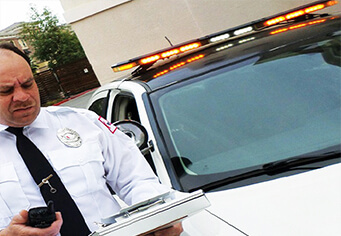 Citiguard security protection guards are fully-licensed and highly-trained, and frequently receive mandatory training in the latest security procedures and technologies. Our guards are always professional, alert, courteous and neat in appearance, and will ultimately help maintain the safety and order at your location. Send a strong message to the community at large – our educational institution is protected by experts! Contact Citiguard to set up your free educational institutional security services consultation today to discuss protecting your students and educational facility with one of our knowledgeable security protection consultants.